On 31 January the Werkgroep had a meeting with Hapin in Utrecht (see pictures below). 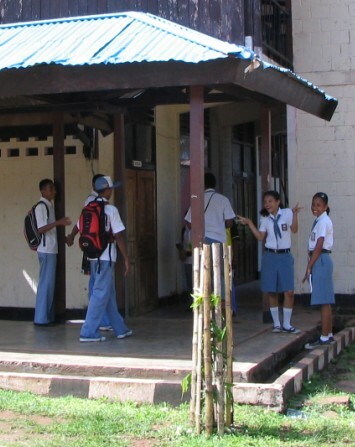 The decision was made to write a letter to all Dutch sponsors, including all Dutch alumni of the HBS/SMA, about our changed goal: no longer revitalisation of the SMA buildings is aimed for, but the goal is now to support talented and motivated Papua students who need financial support. On 1 February 2018 Fransiska visited the SMA Gabungan and had a meeting with the new director of SMA Gabungan, Mrs. Titi Halawa, to discuss the new policy of the Werkgroep. This meeting was very constructive; the director believes the new policy will be a golden opportunity for talented young Papua students of the SMA. She will recommend talented and motivated students to Pt.Hapin. Pt. Hapin will do a further selction according to the Hapin criteria for scholarship, the Werkgroep will make the final decision. In 2017 the Werkgroep has already supported Yulianus Boga (alumnus SMA), student at the Cenderawasih University. The Wergroep paid €600 that year. 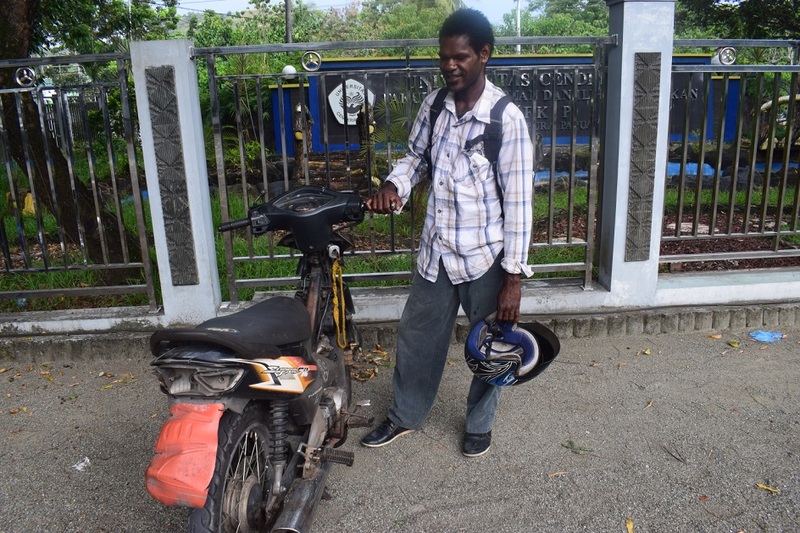 This year we have donated 1250 euro, for having his moped repaired (necessary for the 'ojek' taxi service which anables him to finance his study) and for buying a laptop which is vital for the finalization of his study at the end of this year. ******Remark: in July 2017 we decided to spend a maximum of €5000 per year on student support. This implies that the available funds will be spent in about 5 years. The available fund on December 31 2017 is €24.559.